InspecTools, Inc. is happy to announce a strategic partnership with wind energy industry leader Vestas. Vestas has selected InspecTools’ drone inspection systems for wind turbine blades for inclusion in their BladeCareTM service package in North America, and the companies will work together to deploy this novel inspection method. Vestas is the global leader in wind turbine manufacturing and maintenance services, and InspecTools is a rapidly-growing provider of innovative inspection systems utilizing drones and other means of acquiring utility asset condition data. Once collected, condition data is processed and analyzed by InspecTools software, and findings are delivered to field personnel in support of their asset maintenance activities. While there has been a lot of discussion regarding using drones to inspect wind turbine blades, this partnership marks the first major commitment of a market leader to the method. It also confirms InspecTools’ leading position in the market for drone inspection systems. “Vestas is the leading manufacturer and service provider in the wind industry and InspecTools is the leading developer of drone inspection systems for wind turbine blades - partnering for the benefit of Vestas’ customers just made sense. Our partnership will allow InspecTools and Vestas to immediately launch commercial-scale drone inspection operations.” says Chris Bley, InspecTools’ CEO. InspecTools develops and deploys innovative asset inspection systems for the wind energy, solar energy, and electric power transmission and distribution markets. InspecTools systems have been proven to be effective in extensive implementations by industry leading companies and utilities. 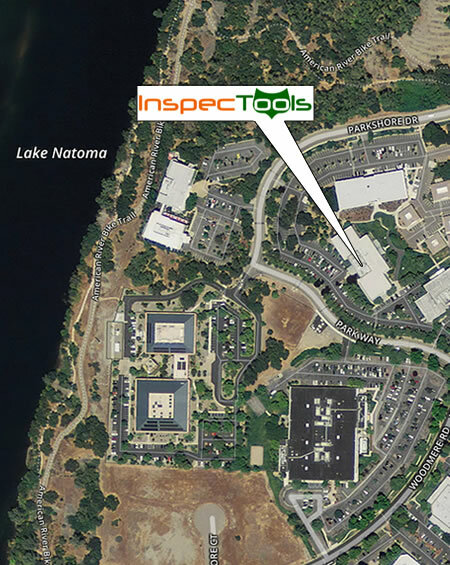 Based in Santa Cruz, CA, InspecTools serves customers around the world. Wind power from Vestas’ more than 56,800 wind turbines currently reduces carbon emissions by over 78 million tons of carbon dioxide every year. Vestas has delivered wind energy in 75 countries, providing jobs for around 20,500 passionate people at our service and project sites, research facilities, factories and offices all over the world. With 52 percent more megawatts installed than anyone else in the industry and 75 GW of cumulative installed capacity worldwide, Vestas is the world leader in wind energy. Learn more at www.Vestas.com.